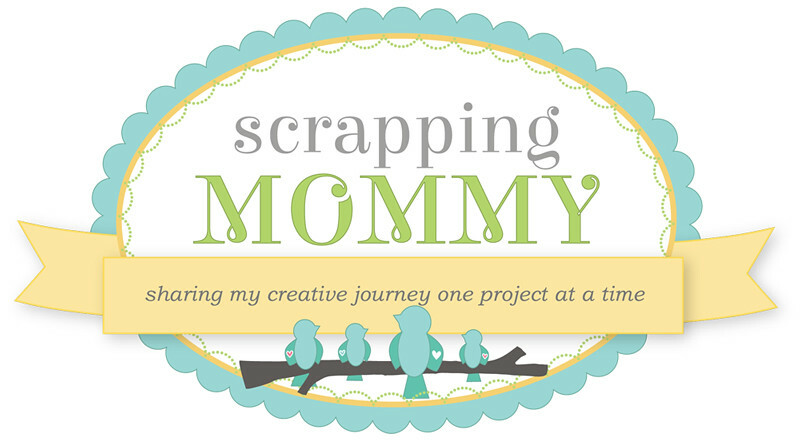 Scrapping Mommy: Apron Strings Blog Hop with a Giveaway!! Apron Strings Blog Hop with a Giveaway!! If you hopped on over from Melanie Holzwarth's blog, you are in the right place. If you just happened upon my blog in the middle of the blog hop, you can start at the beginning at the Apron Strings Blog. Apron Strings Designs is a monthly kit club that offers three new pre-coordinated kits each month that contain the latest releases of patterned paper, cardstock and embellishments; all that is needed are your words and photos. Autoships start at just $16 for the Smaller than a Breadbox kit.....you can get all the great new products and still make your wallet happy. Autoship members also enjoy no additional shipping on purchases when they are shipped with the monthly kit, unlimited penalty free skips, substitutions and flipping - all to be sure their kits work for them. I have been getting autoship kits from them for 4 1/2 years now and I just love what comes in each and every one....it is like opening a wonderful gift each time. Today, I am going to share with you this layout that I made with the September 2010 Smaller than a Breadbox Kit. I used the October Afternoon set from that kit to create this layout about "where I am @ 35". Now, on to the details of the hop. The Apron Strings Designs blog hop will go from today, Friday January 7th, until Sunday January 9th. You need to hop along to each of the designers blog and leave comments along the way and collect phrases from each blog (mine is below in red). After you have visited each of the blogs, you need to email ALL of the collected phrases to lori@apronstringsdesigns.com by Sunday evening. Up for grabs is a Basic Grey 2011 calendar kit. Winners will be drawn from comments on each of the designers blogs for a YUMMY Cookie Jar Treat (scrapping goodies), so don't forget to leave comments along the hop. There will also be fun challenges to play along with on the Apron Strings Blog and more chances to win some more scrapping goodies. I hope that you have fun along the way and gather some great ideas to use on your next project. I also hope that you can join us for more fun on the Aprons Strings Blog this weekend. Now it is time to hop on over to Anet Tietjen's blog. Thanks for stopping by and don't forget to leave a comment here for a prize!! This is a great layout! I love the different shots. Love the card!! 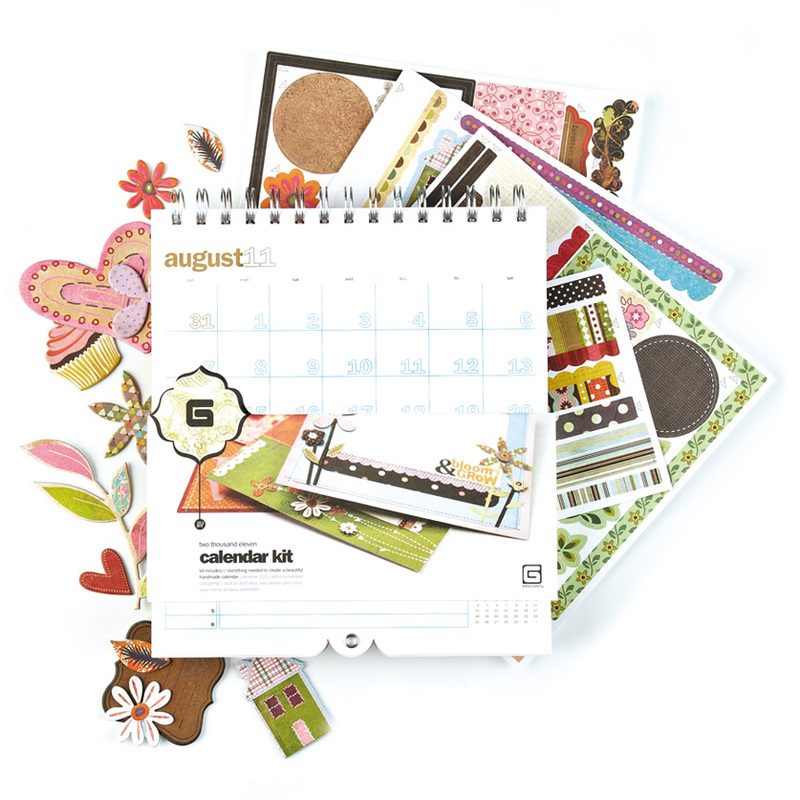 And those calendars are so much fun to make and great gifts to give! Great idea for a LO, very nice!! Love your banner! Great 2 pager! Cute layout and I LOVE that theme and title! What a fun layout! Thanks so much for showing what you can do with a smaller than a breadbox kit, as that is my favorite Apron Strings choice. such an adorable layout! Loved that October kit! New to your blog thanks to Apron Strings! Can't wait to read more!!! Great layout, Amy! I can't wait to begin designing with you all, there is so much talent at Apron Strings. Amy, I'm glad that I will still get to enjoy your great work. I always look forward to seeing what you will share! Gorgeous layout! And gorgeous pics, too -- 35 looks good on you! What a great way to display all those mug shots! I have a lot like sometimes when I fiddle around with the mac photobooth...Thanks for the great idea. I love your layout. And thanks for the really great explanation of the apron strings kits. I think I may have to work that into the budget. Looks great! 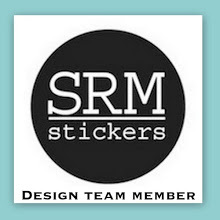 Your layouts and other projects are gorgeous, as well as very inspiring! Love your LO! That kit was awesome. Love that gorgeous paper! Great Lay out. The different shots make it! 35 is perfection!!!! Hi Amy! I look forward to working with you at Apron Strings! I like how you used different head shots in your layout. Love the black and white photos you used for your layout - they go great with the kit. 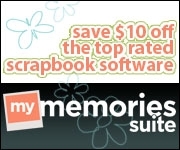 I am looking forward to working with you on the Design Team for 2011. Love your blog, Amy..you are so creative. Thanks for sharing!